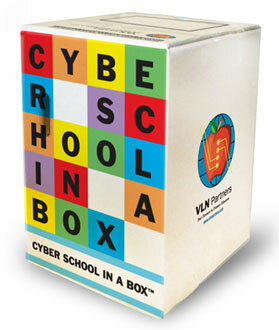 Cyber School in a Box™ is a complete bundle of products and services that districts use to offer their students a simple-to-implement alternative to cyber charter schools. Every Cyber School in a Box™ bundle includes a laptop computer, a printer/scanner, peripherals, online lessons, supporting instructional materials, technical support and live daily instruction from certified teachers. Each bundle sold typically produces recurring revenues for as long as a student stays enrolled in the program (and if a student leaves the program, the bundle is redeployed to another student). This fee represents a significant savings for the district (approximately 50%) when compared to the tuition they are obligated to pay when a student chooses to enroll in a cyber charter school or other programs not affiliated with the district.